This is a 18"long 100% human hair wig. You can wear this wig to any occasion whether formal or casual. 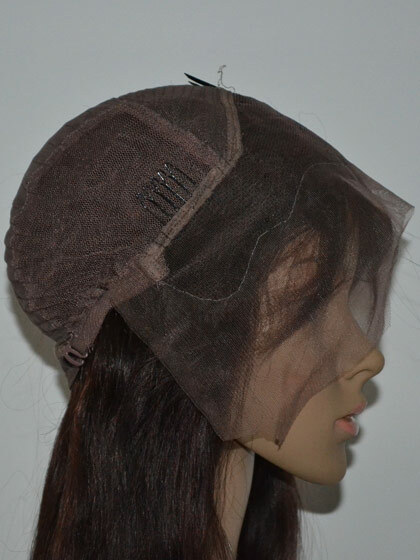 This wig has an adjustable wig cap and is very easy to use right out of the box. One of our most popular items! I would recommend this wig to anyone!. Even though I received my wig late, I tried it on for my family and wow their eyes went Oh La La. Give yourself ample time in ordering. THIS WIG is now my favorite wig.It looks so real and was so comfy.It definitely worth the money. I was just like to say thanks for my new wig. It arrived next day and is a fabulous instant change. Gives me lots of choice and confidence. I am now considering my next purchase.